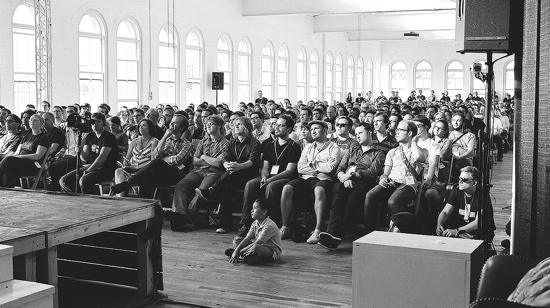 A week ago, we launched XOXO 2013 and the response was ridiculous. We finally closed signups yesterday, with nearly 1,500 people signing up to grab a pass. As of an hour ago, the conference is officially sold out and festival passes are going quickly. More than anything, there were questions about how the registration process works and how passes were distributed. This led to a lot of anxiety and speculation, fueled by a lack of communication on our part, and I wanted to clear up the confusion. Andy McMillan talked about this last week in his Medium post, but I wanted to go into a bit more detail. All the coverage was wonderful, but it brought some unwanted attention. From the moment the event ended, I’ve been emailed nearly every day by a new class of person desperate to go to XOXO — marketers, brand managers, advertising agencies, and social media gurus. These people are well-funded, have expense accounts, and were ready to throw money at us the moment doors opened. Several said specifically they were excited to bring the whole team! When we started the first XOXO, it spread entirely by word-of-mouth and sold out within two days. All of those people never had a chance to hear about it until long after passes sold out, so the open registration on Kickstarter wasn’t a problem. This year, we knew that if we opened it wide, there was a risk that this new audience would change the vibe of the event for the worse. And, frankly, I’m not going to spend half my year planning something that I wouldn’t want to go to myself. Andy McMillan felt the same way, so something had to change. What’s something you made that you’re proud of? XOXO is a small event, and we can only accommodate a fraction of the demand. To ensure a diverse and amazing group of attendees, we’re giving priority access to the people that embody what XOXO’s about — artists, makers, hackers, coders and founders. But we didn’t go into details, largely because we were still working them out ourselves. This led to a lot of speculation, and a feeling of exclusivity that we never wanted. People assumed that they were applying, instead of just joining a queue, and that we were ranking them based on their accomplishments. Neither was true. In the end, it was very simple. First, about 20% of the total passes went to people we plucked out of the queue, regardless of when they signed up. These were a mix of new and established faces that we knew other attendees would want to meet, usually people behind abnormally interesting projects and websites. The rest, about 80% of the passes, were given out in the order that people signed up. For those passes, we asked a simple question: is this someone who makes something or not? If they were primarily an artist, coder, writer, hacker, designer or maker, then they were in. We never judged the quality or merit of their work. While some people assumed we were trying to keep people out, the truth is that we want to include more people than ever. This year, we offered Festival Only passes to allow far more people to come to Portland and be part of the event, even after the conference is sold out. We don’t want XOXO to be an invite-only event like Foo Camp or TED because we know that many of the most creative people in the world are still undiscovered, and we don’t know who they are. If they’re drawn to XOXO, we don’t want to leave them out. We don’t want XOXO to be a summer camp for the same group of people every year, which is why we didn’t give preferential treatment to past attendees. Diversity is incredibly important to us. And we don’t want it to be a free-for-all like SXSW, because the shift in focus lowers the signal-to-noise ratio to unacceptable levels. There’s nothing wrong with advertising, marketing, or PR — it’s just not something that we care about, and it’s outside of XOXO’s focus on independent art and tech. Andy and I spent six months debating the best way to maintain the incredibly high caliber of audience we had last year, and this system is the best we came up with. The biggest failing was communication, which we can solve, but I think people will be floored when we post the attendee directory. It’s a ridiculously creative group of people. If we do decide to do XOXO again, we’ll see what worked and what sucked, and make changes accordingly. Maybe we’ll scrap it entirely and try something else. Like we’ve said, XOXO is an experimental event, and we’re treating it that way. My interpretation of your position on this was that you’d like XOXO to be populated with people who make things. I understand that not everyone has, say, Adam Savage’s access to tools and funds needed to make things, but in 2013, there are so many tools available to nearly everyone—if you have the desire to make things, you can do so quite easily. Working around limitations and finding a way to build using even the simplest tools available seems to me like THE spirit of XOXO. So, in short, there’s *virtually* no excuse for an attendee to have nothing interesting to show for themselves. Nailed it. For example, there’s a 13-year-old coming who does iOS development. He’s made a ton of stuff. Easy. Was it surprising that a nebulous selection process devoid of transparency generated conspiracy theories? Hitting “submit” sent an application to a black hole, without so much as an email confirmation. I submitted last Friday night and never got any response. I’m assuming that the lack of feedback, and the closure tone of this post indicates I didn’t get in. While the intention may have been to have a straightforward application process, many folks interpreted the instructions differently and invested a lot of time and energy to the process. It was unthoughtful that applications seem to have been accepted for nearly a week after more than enough had been submitted. If one person saw this process as being subjected to judgement for worthiness as a maker, a perceptual flaw in that person is to blame. The fact that so many people did so indicates a flaw in the process design. One conspiracy theory that popped up on twitter was that favorite people were being hand-picked to jump in line in front of others who made the cut. Glad you put that one to rest. Jim: Everything you’ve written is completely valid, and I’m totally owning up to the fact that we communicated it poorly. That said, there are very clear reasons why it had to be opaque. First, because people would’ve gamed it if they knew exactly how it worked, and second, we needed to see how it all played out so that we had the flexibility to make changes. This is an experimental conference, and we want it to stay that way. We’ll keep learning and iterating as we go, but if it stops being fun and people start taking it too seriously, we’ll probably stop doing it. We’re still rolling out festival passes. The reason you didn’t get a pass yet is because you were the 1,297th person to sign up, and you’re currently #538 in line. Andy, thanks for the response and status update. I hadn’t fully appreciated the challenge of keeping a small, high-profile conference from being co-opted for exploitation. Andy – I just want to thank you and Andy for a) putting so much of your time, heart, and thought into putting this event together (it clearly is WAY more than you bargained for on so many levels), b) communicating your intentions so clearly in this post. At the core of this event is a spirit of generosity and sharing, and that comes through loud and clear. Everyone makes something, and almost all of us are proud of ourselves for doing so in whatever small context that is, even if what we make is less holistically satisfying than, say, hand-tooled ukulele robots from reclaimed Soviet-era Tandy parts. By a broad definition, I make advertisements, and it’s my life’s work. Marketing and PR people are usually active and engaged in creative pursuits as well, so for that to be the exclusionary delineator for keeping out the douchebags, even nominally for the sake of simple explanation, seems limiting. Is there a better way of keeping out who you want to keep out? Do you feel that the wrong people will figure out how to trick you into thinking they’re more creative and earnest than they are? And if they do so, does that mean that they’re less worthy of joining the conference or perhaps that they’ve proven themselves worthy of attending, simply by their interest? This is a tough problem to solve, because we all know what the right conference looks like (because you did it in 2012) and we all know what the wrong conference looks like (because people in costume passing out Doritos energy sliders and shouting at us in QR code). And I guess you guys know how to best identify the people you feel would most quickly turn the place into a cesspool, I just feel that there might be a better shorthand for telling the rest of us what that looks like than “advertising, marketing and PR”. Possibly, all you need to say is “come for yourself, because you want to engage your brains; don’t come for your employer because you want to engage their brand”. It’ll be a fun puzzle to figure out in the coming years, and I hope I continue to get to be a welcome part of the process. Adam: It’s a great point, and I was hesitant to even mention it in my post for the reasons you called out. It’s not a perfect shorthand, because there are brilliantly creative people in every industry. For example, we approved several people from advertising agencies because some of the most creative makers and designers in the world are employed there, and my hope is that XOXO will push them to take their talents and go do something independently. Marketing and PR are more challenging, because it’s harder to make the argument that they’re actually making stuff. It’s much more often a service to promote works created by others. A valuable service, but outside the focus of XOXO. The most challenging are non-technical/non-designer entrepreneurs. They can be far more pushy and obnoxiously self-promotional, but are arguably in a position to create new works. 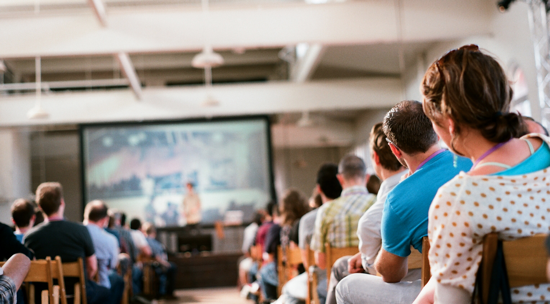 Ultimately, we want people that are going to bring as much value to other attendees as they take from the conference. There are many people that would get HUGE value out of the conference, both learning from speakers and as a “networking” event, but would give very little back. If they’re not someone the other attendees would ever want to meet or talk to, it could actually make the event worse. Anyway, thanks for all your thoughtful comments. We’ll continue to think this stuff through and make it better. I really appreciate you writing up a deeper explanation of your registration process. The only thing I have to add is that it would have been helpful up front if you’d said something along the lines of “there will be no group ticket sales” or “multiples aren’t available.” Upon seeing that there were festival-only passes available (which I have purchased and am counting down the days until xoxo starts), I immediately thought of that as a way for my wife to attend too, since it changed our needs regarding childcare. But, because of the process, I didn’t really factor in that she’d need to sign up as well and was not proactive in telling her to do so. By the time I did think of it later in the day, I reasonably guessed it was too late for her to have a chance. That may or may not have been the case, and I can’t fault you guys for my inaction, but I did want to submit this to be taken into consideration. There is usually a cultural expectation when it comes to ticketed events that one person can purchase tickets for multiple people. I recognize you addressed that above, so maybe that was just the nature of your process! Anyways, I’m incredibly excited about attending the festival because missing out on last years xoxo was one of my biggest regrets. Yeah, that was a big oversight. We didn’t realize how often people would want an extra pass for their partners. Last year, we only allowed one ticket per Kickstarter account, but apparently, people just had their significant others buy passes separately. We should be able to accommodate partners who want a festival pass, but conference passes are much more difficult. Drop me a line and we’ll make sure your wife gets a festival pass too. Really, people? There’s a conference. It rocks. Not everyone can go. There’s a limit. Are conspiracy theories and anger actually happening? Thanks to the Andy’s for organizing. I hope I get to attend again one year. But even if I can’t, super stoked that people put all this time and energy into creating something beautiful. Please don’t make it ugly for them. Less stress, and more love! Two things could be done now and still to better communicate XOXO tickets. 1) Email everyone that applied a note that either confirms or denies their application for a ticket. So simple. 2) Email everyone that applied a link to this post. Assuming people will see the tweet about it is optimistic at best. The status check system, attend.xoxofest.com, was vague and unhelpful. Fixed the status message, thanks for the head’s up. A fascinating discussion is unquestionably well worth comment.